Camels are often described as the “ships of the desert” since they can transport heavy loads for long distances. 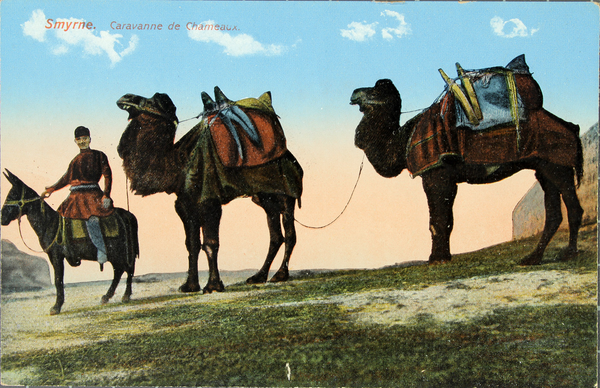 Essential for desert survival, their representation in postcards also came to signal a foreign, exotic landscape. How does the mode of transportation affect your travel experience?